If we take into account of every single noodle variant on this planet, the count will go in hundreds. Here, I've picked some of the best Asian noodles you can easily try out at your home. Almost all of these noodles are easily available in superstores. 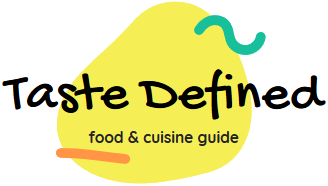 I've tried several noodles in this list and my favorite is Wonton noodle as it is always served with something unique that is fulfilling and delicious at the same time. If you've tried one of these noodles, do share your experience with us. Most noodles enlisted below are of Chinese and of Japanese origin. You must prepare and serve these noodles hot to ensure the bowls are empty before a blink of an eye. Let's quickly check these scrumptious Asian noodles. 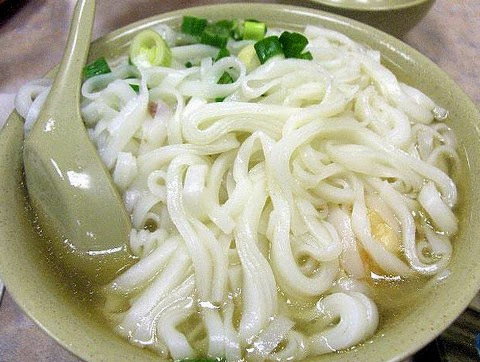 Biang Biang Noodles - These handmade flat and slippery noodles are quite popular in China. They're usually served with a sharp sauce base and peppers in extremely cold weather. Making these noodles is an art and making it in an authentic way is mastered by few chefs. Its chewy texture and unique taste make it ideal for cooking with meat-based toppings. Although you may find these tasty noodles in select superstores, the authentic version is only available in mainland China. Cellophane Noodles - These much popular transparent noodles are made from different types of starch and are quite common across South East Asia. 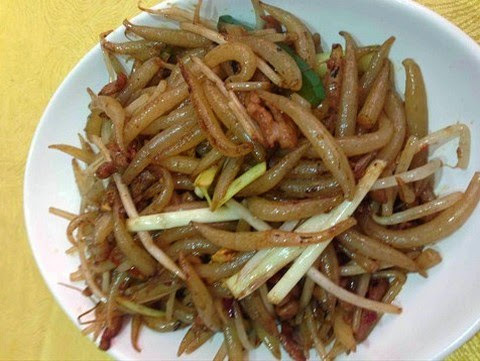 They are also known as glass noodles and are cooked with hot soups and stir-fried seasonal vegetables. 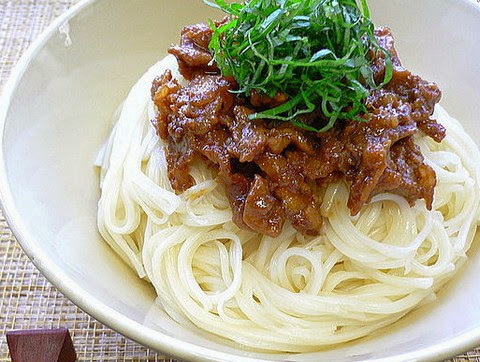 Although the classic versions of these noodles are made in the form of thin long filaments, various other versions are also made which are relatively thick or flat in shape. I generally prefer to use these tasty noodles with spicy fish based soups. 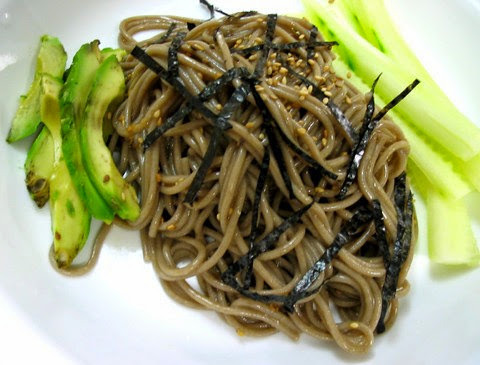 Soba Noodles - These delicately flavored and thin noodles are made from buckwheat flour. The Japanese versions of these noodles are relatively sweeter. Both stir-fried and boiled version of these noodles makes great lip-smacking recipes. In recent years, restaurants have developed dozens of different types of recipes made from these noodles. These noodles have also reached North American continent and are getting popular among the locals. It's one of my favorites noodle. 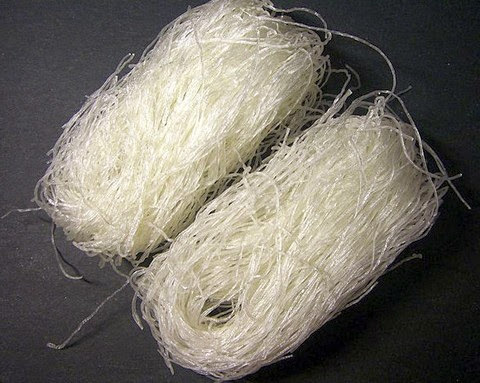 Silver Needle Noodles - These extremely delicious noodles are generally short in size and are semitransparent in texture. They're popular in China as well as in several Asian countries and are served in different forms by both street hawkers as well as by restaurants. Originally, these noodles are made from coarsely ground rice flour though different versions are made by mixing cornstarch in the dough base. These unique noodles taste best when cooked in stir-fried form. Wonton Noodles - These noodles are generally served with hot piping broth combined with seasonal veggies and different kinds of dumplings. Generally, the tasty dumplings used in wonton noodles recipes are nonvegetarian though some people prefer vegetarian variants too. You can freely experiment and innovate to serve your very own version of wonton noodles. Different South East Asian countries make wonton noodles in their own way with delicious dumplings and vegetables. Shirataki Noodles - These yummy Japanese noodles are translucent and are very low in carbohydrates. Though they are bit bland in taste but are rich in fiber and can be spiced up with select seasoning ingredients. Unlike common noodles, this one is sold in both dry and wet forms. The latter version can be easily kept for up to a year. Several tofu based shirataki noodles are also popular in America which is easily available in local superstores. I simply love these scrumptious noodles. Somen Noodles - These are very thin noodles of Japanese origin made from refined wheat flour. While making these noodles, the dough is stretched to get the right texture. It tastes best when served with hot and spicy soup base. 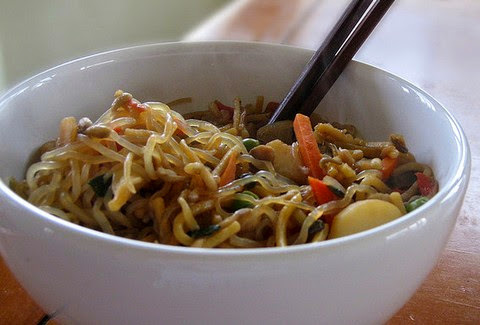 You can also make the chewy version of these noodles by adding some starch to the dough base. You can also serve mild or spicy dips along with these noodles to complement the primary recipe. These noodles also have different variants with mild changes. 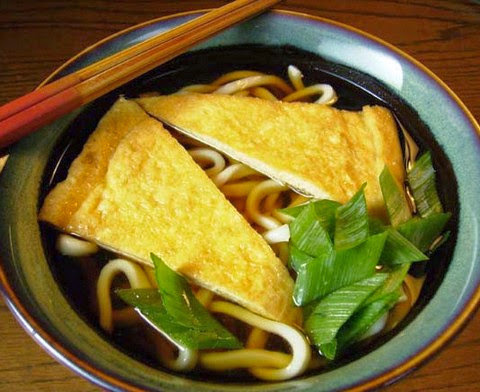 Udon Noodles - These are another variety of thick Japanese noodles made from all-purpose wheat flour. Served with hot soups these noodle recipes are generally mild in flavor. These are one of the noodles with rich and long history. 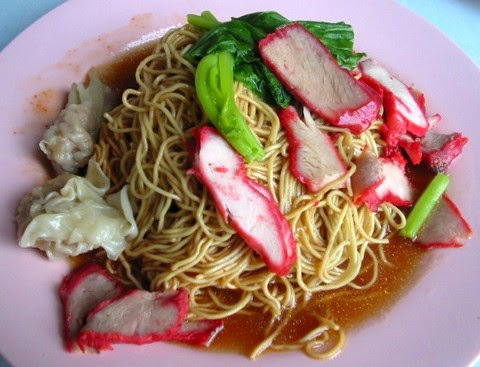 Some parts of the Asian region serve these yummy noodles with relatively hot and spicy broth with loads of red chilies. Depending on the season, the broth and veggies used with these noodles change dramatically. I prefer the stir-fried version of these noodles. 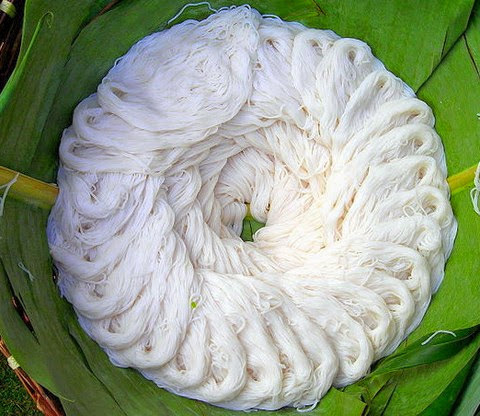 Khanom Chin Noodles - These unique Thai rice noodles are made through a long process that also includes a fermentation process. These versatile noodles are used in salads, curries, and soups in different ways. Seasonal vegetables go so well with these noodles as it gels well with almost anything. These noodles should be made and served fresh as they cannot be kept for a very long time. If you really want to relish these noodles, use the combination of raw papaya and fresh coconut milk. 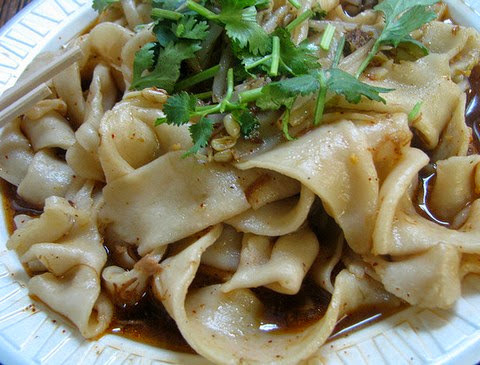 Shahe Fen Noodles - These soft and wide rice noodles are of Chinese origin. They're also popular in Thailand and Indonesia where they're made in slightly different form. These elastic and chewy noodles come in different varieties and are made in equally different ways. They're primarily served with hot soups with different levels of spices. Like other popular noodles varieties, this one is also available in superstores. It's no big guess I like the stir-fried version of these tasty noodles too.